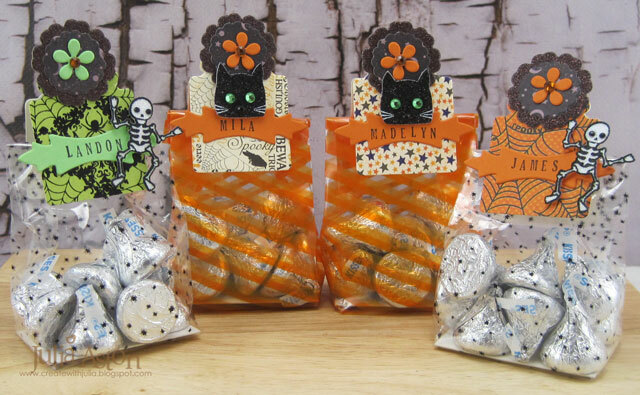 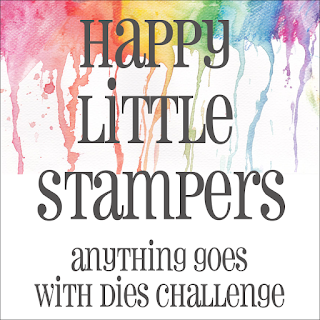 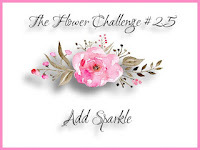 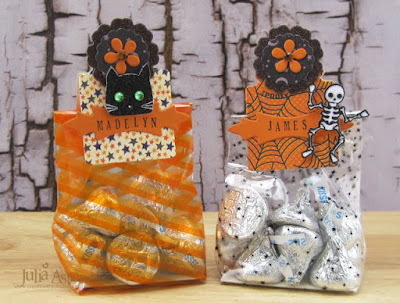 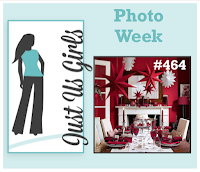 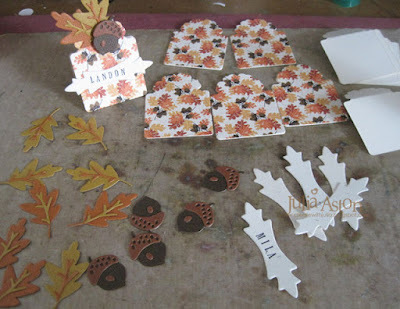 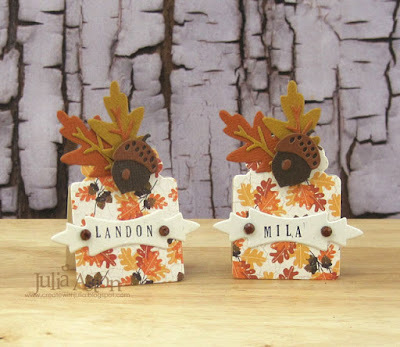 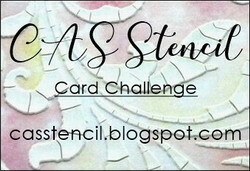 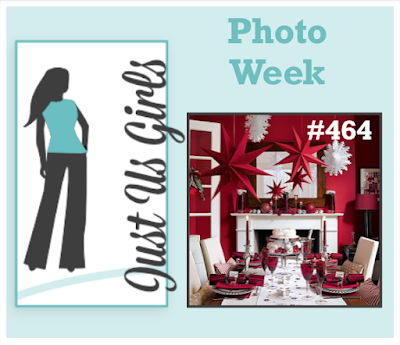 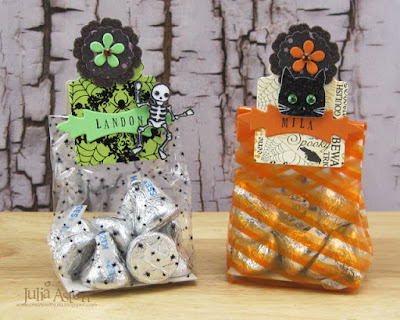 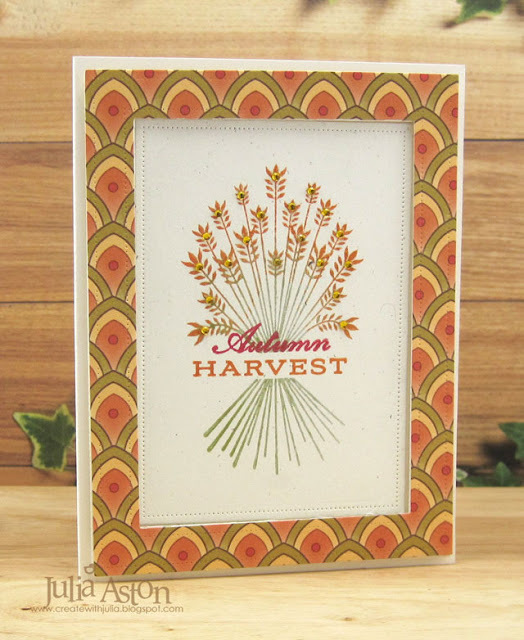 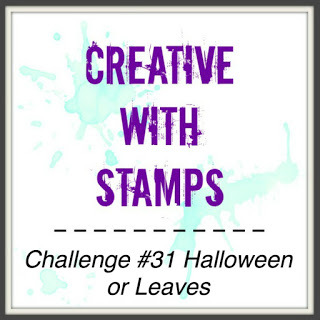 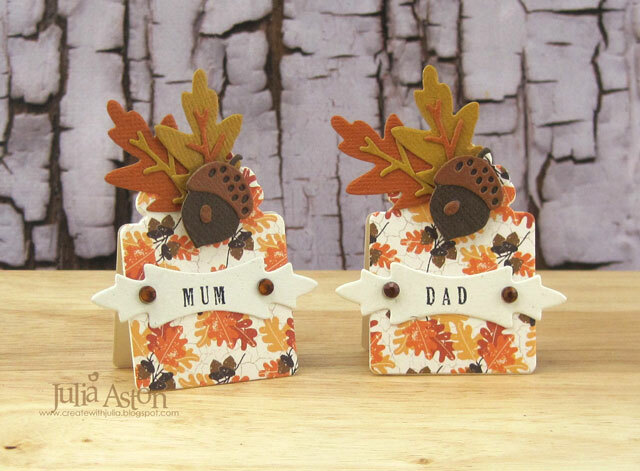 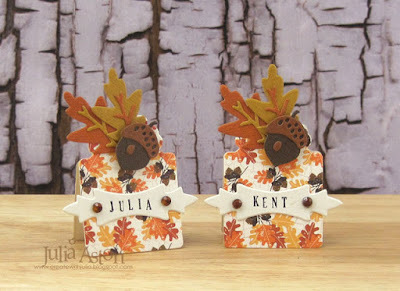 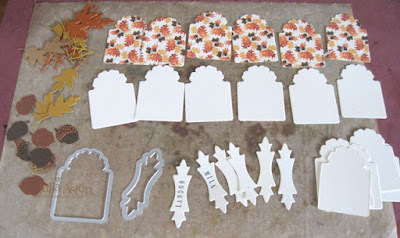 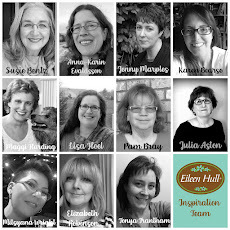 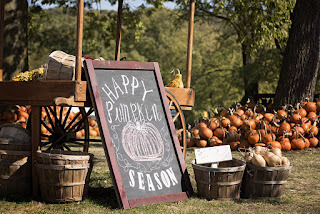 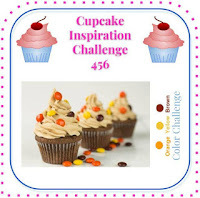 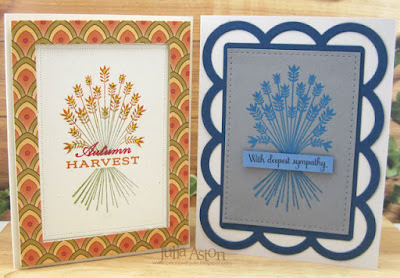 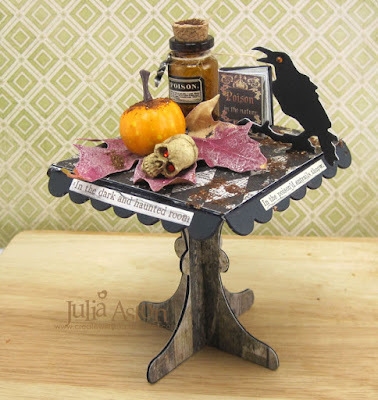 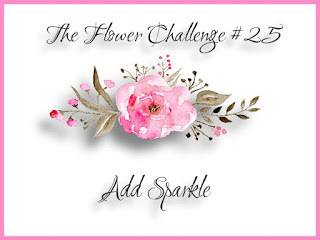 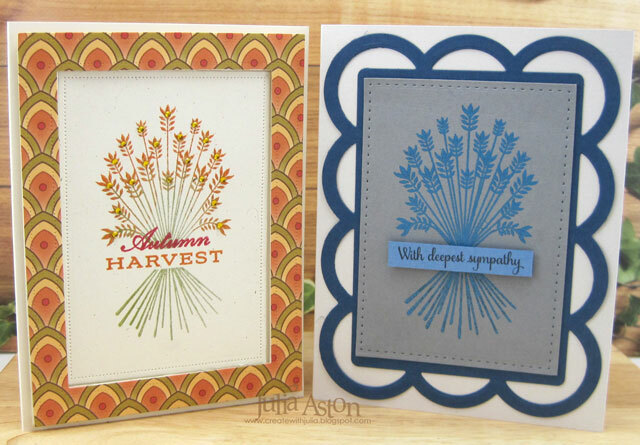 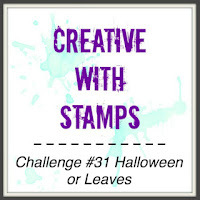 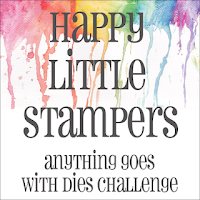 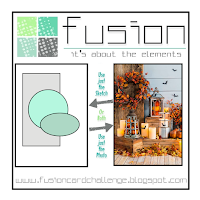 Today I'm have a card to share as a mid-month reminder about the October CAS Mix Up Card Challenge! 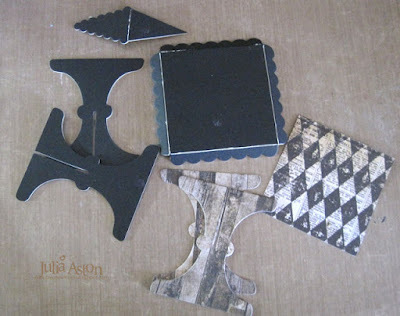 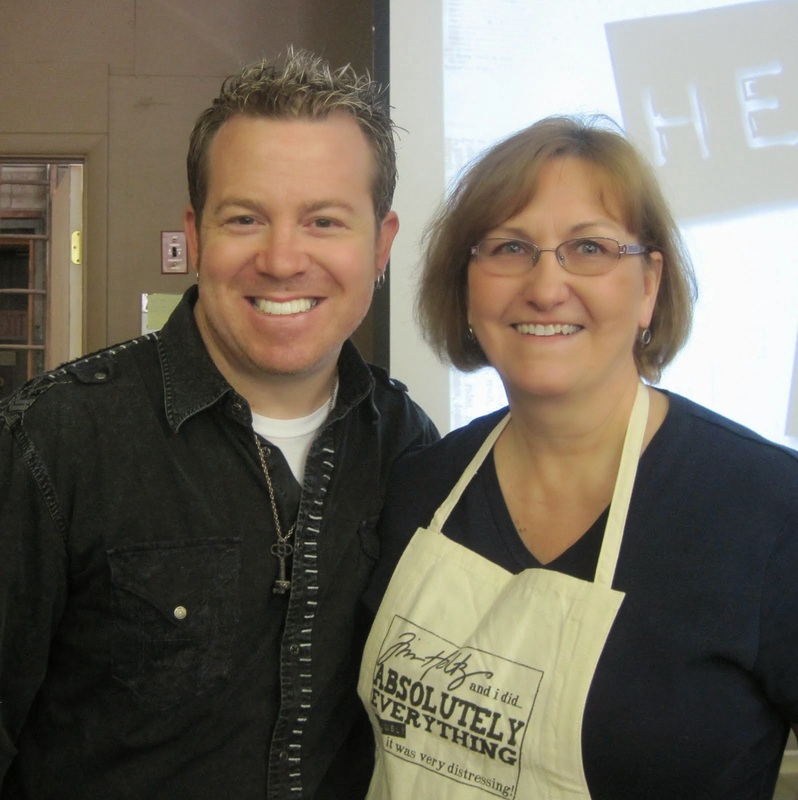 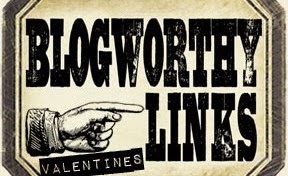 Our hostess Mac would like us to use faux metal techniques - there are several links to technique videos posted over at the challenge blog to inspire you! 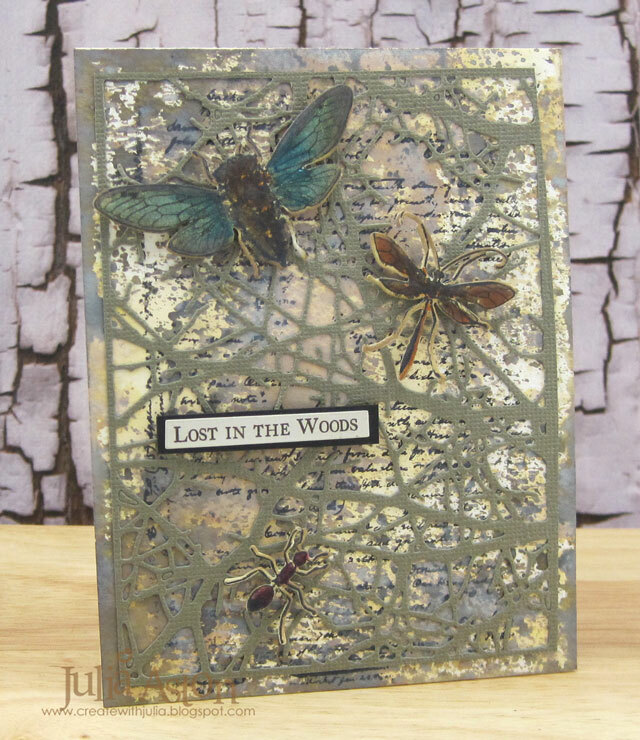 I used faux metal technique (multiple layers of embossing), stamping, stenciling and rhinestones. 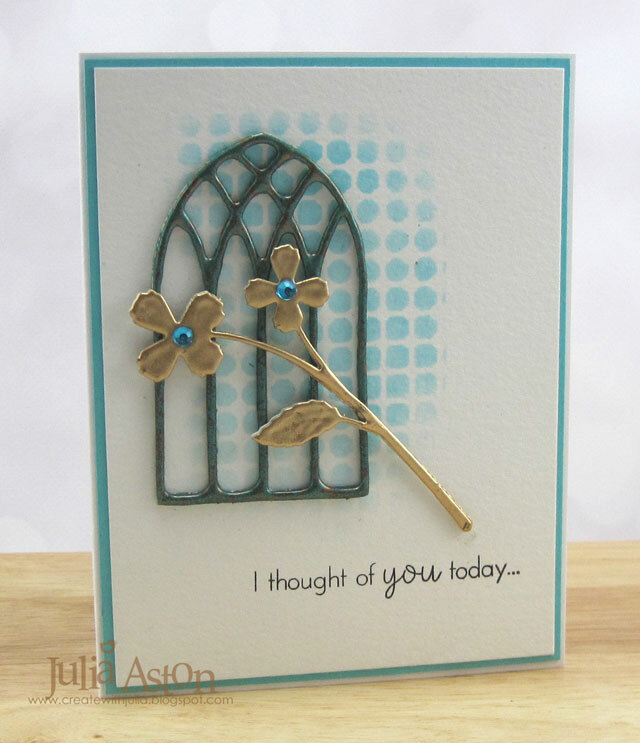 I die cut my Small Gothic Window and Hampstead Bloom (both from Poppy Stamps - may be retired) out of watercolor paper 3 times. 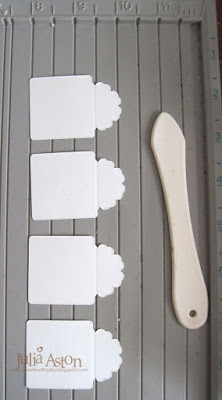 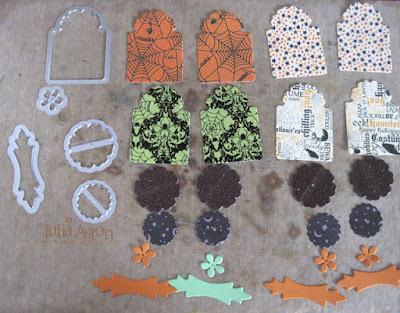 I glued the layers together to make the die cuts thick. I embossed the Gothic Window 3 times using Patina Oxide Baked Texture Embossing powder from Emerald Creek. 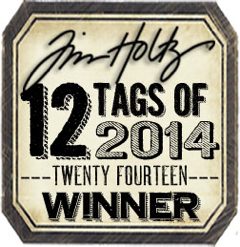 I embossed the Hampstead Bloom 3 times with Ranger Gold Embossing powder. 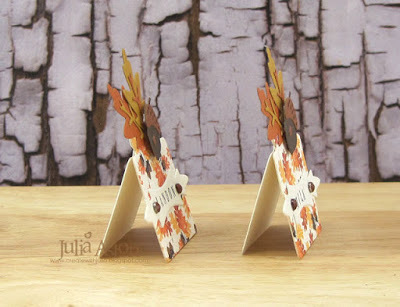 They come out so wonderfully thick! 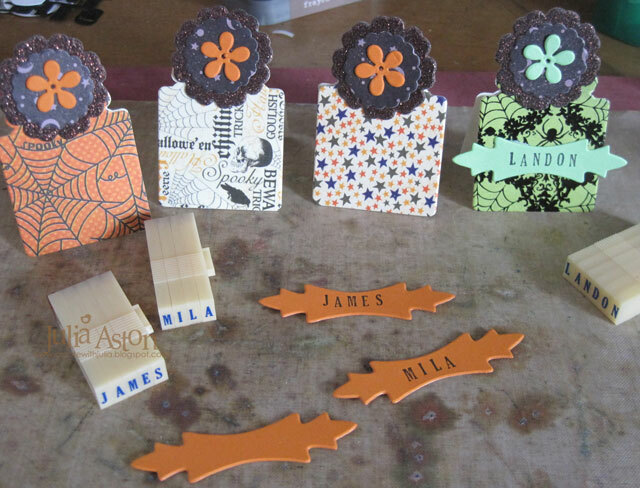 I sponged over a portion of a Tim Holtz Mini Stencil with Ranger Distress Tumbled Glass Ink and adhered the die cuts over it with Tombow Glue. I added 2 blue rhinestones to the centers of the flowers and stamped a sentiment from Ways to Say: Thinking of You from PTI. I placed a heavy object over the die cuts for an hour to be sure they adhered to the panel. 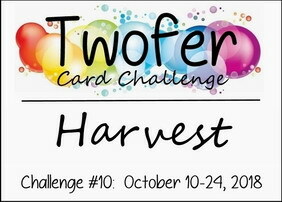 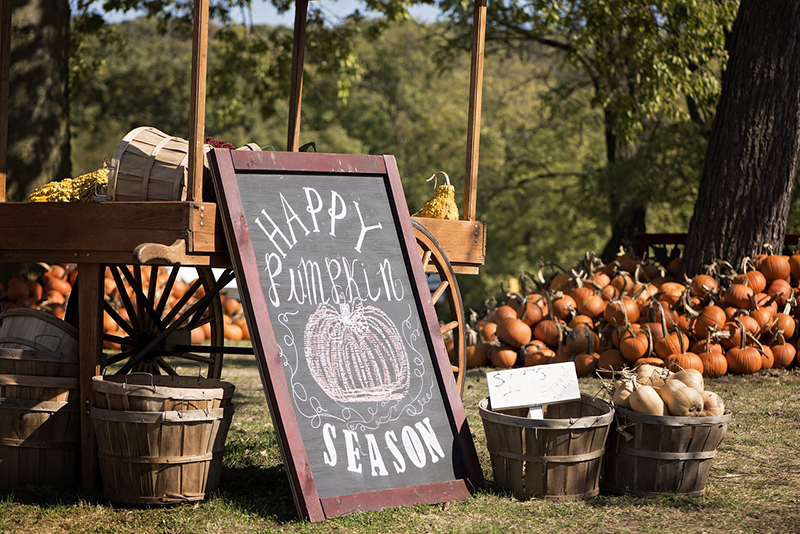 The challenge is open until 10/24 and we hope you'll join us! 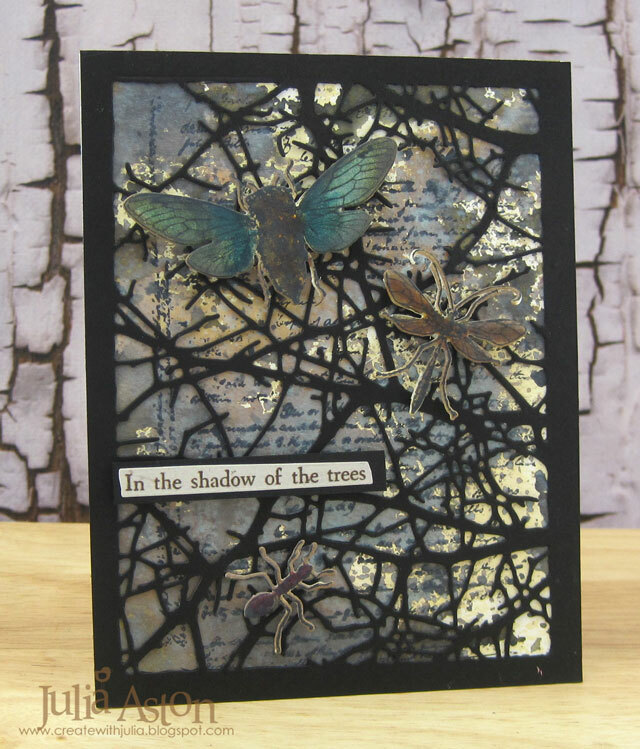 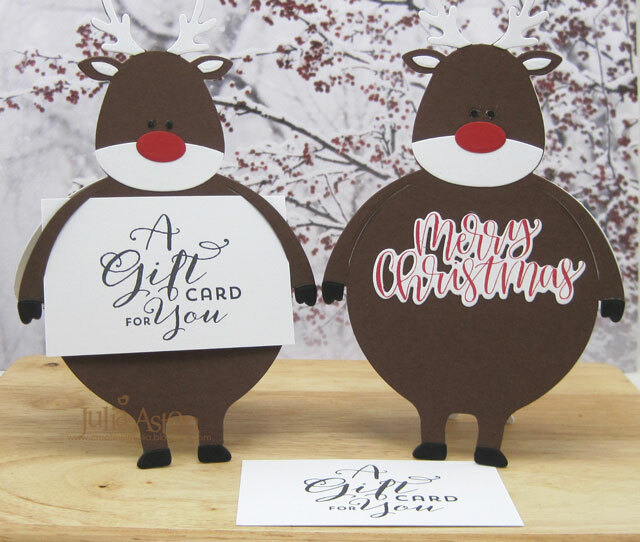 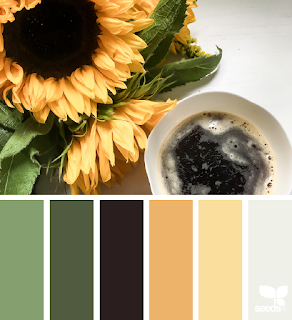 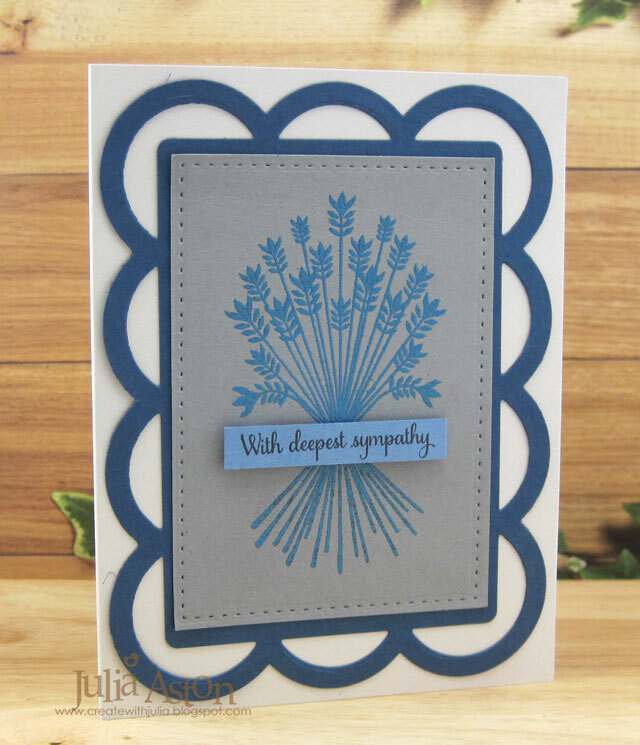 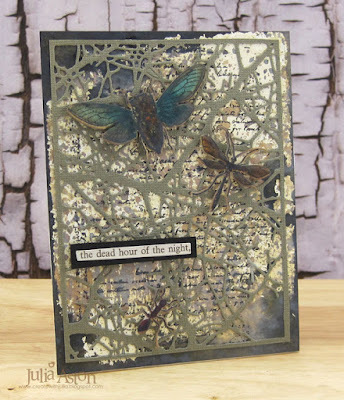 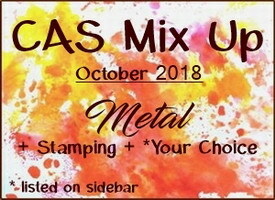 Please link up your faux metal CAS cards over at CAS Mix up - where you will find lots of inspiration from the Design Team and our Guest Designer - Pat (Colourful Card Creations). 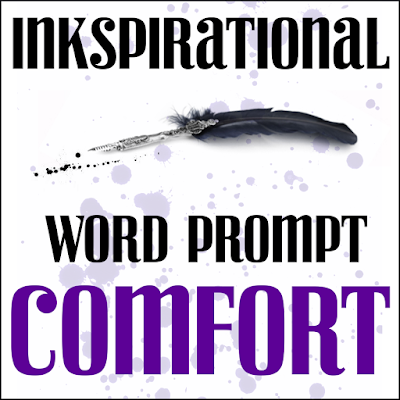 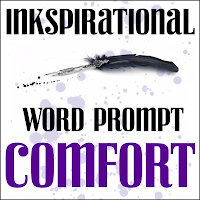 Ink: Versamark, Ranger Distress Tumbled Glass, Hero Hues Black. 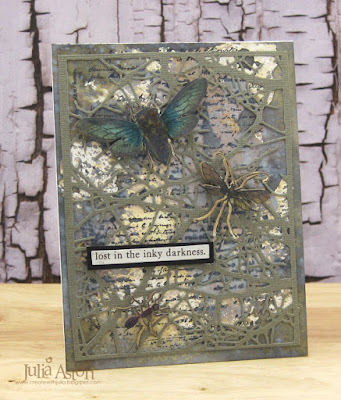 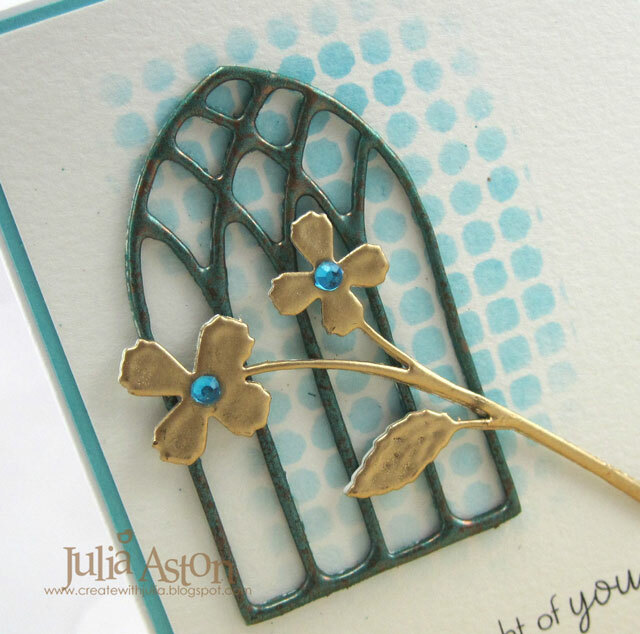 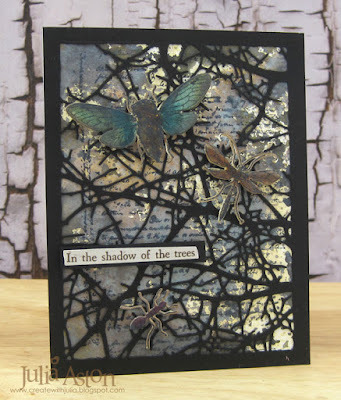 Accessories: Hampstead Bloom and Small Gothic Arch Dies - Poppy Stamps, Gold Embossing Powder - Ranger, Patina Oxide Baked Texture Embossing Powder - Seth Apter/Emerald Creek, Mini Stencil - Tim Holtz/Stampers Anonymous, blue rhinestones - Kaiser Craft, Tombow Glue, Heat Tool.